Now in its 12th year, Camp Heart Songs is a two day camp for children who need to grieve in a fun, safe and supportive environment. Children aged 6-12 years who have experienced the loss of a parent, sibling or other loved one are eligible to attend. The focus of the camp’s activities is to promote healthy expressions of grief and learn to share and empathize with other peers who have had similar grief experiences. Professional bereavement counselors, chaplains, social workers, hospice volunteers and staff lead the support groups and cooperative activities to guide the children as they learn new coping skills and build self-esteem and confidence. Favorite activities include swimming, sharing time with trained, certified therapy dogs, cheering for one another as they take turns climbing the 80-foot rock wall, crafts, games, and a bonfire complete with s’mores. The event provides breakfast, morning and afternoon snacks, lunch, dinner and breakfast on Sunday. Additionally, a one day camp has been developed for adults accompanying children attending Camp Heart Songs. This opportunity offers adults a space away from the stresses of parenting children who are grieving. Support will be available from peers and professional bereavement counselors. There will be opportunities to journal, take a quiet walk, fish, canoe, draw, paint and spend time with trained certified therapy dogs. Sunday morning, August 16, will be a memorable closing ceremony that includes a video of the camp day. Pre-application for child participants is due by July 10. The camp is free of charge for those children and parents who are accepted. For more information about Camp Heart Songs, visit Four Seasons Compassion for Life online, or call the Bereavement Department at Four Seasons Compassion for Life at (828) 233-0334. More information on the camp: https://www.fourseasonscfl.org/what-we-offer/bereavement-services/heart-songs-program-for-children/. 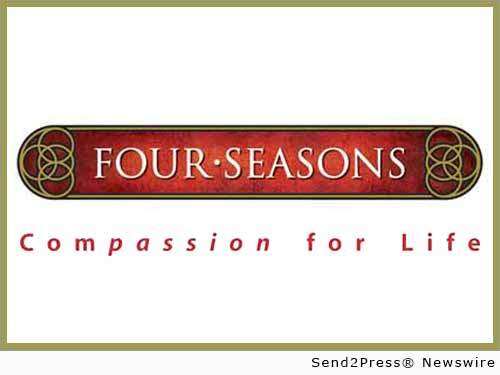 Original Keywords: Four Seasons Compassion for Life Hendersonville North Carolina HENDERSONVILLE, N.C. Celebrating over 35 years of service, Four Seasons Compassion for Life, a nationally respected, award-winning hospice and palliative care non-profit organization, remains deeply committed to serving the community through fulfilling its mission of “Co-Creating the Care Experience.” To date, Four Seasons Compassion for Life has served more than 10,000 patients in Henderson and Buncombe counties and surrounding areas. REFERENCES: Family and Parenting News, Four Seasons Compassion for Life Hendersonville North Carolina HENDERSONVILLE, N.C.